There has always been an abundance of dads and uncles that have an interest in power tools in the Philippines. most of the time these are just reserved at home just in case the need arises. For the most part, these tools are used for fixing things around the house or installing things that need some more muscle. Sometimes, however, there are people who have no idea on how to use these power tools. Still relying on the same old hammer, cutters, and saws that are simply not for the job. Take note that these tools are still completely useful for other projects, however, there are just some things that will really require power tools in order for you to do. 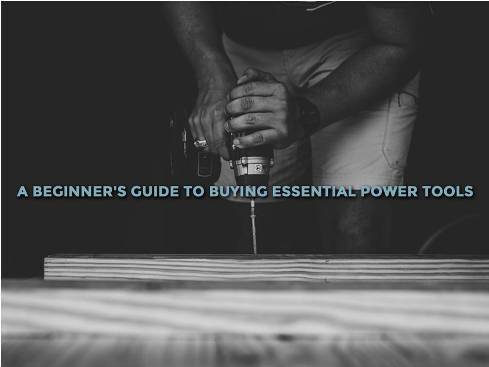 With that being said, for those who are not that knowledgeable when it comes to power tools, here is a small guide to which ones are essential for you to buy. Power drills come in two varieties, the corded power drill and the cordless power drill. These drills are primarily used for drilling holes in metal, plastics, wood, brick, stone, concrete, glass, and tiles. there are many drill bits (the removable tip of a power drill) that are available depending on the material being drilled. There are high-speed steel bits for metal, flat bits for wood, and masonry bits for concrete. The key difference between corded and cordless power drills is the freedom that comes with being cordless. Because of this, cordless power drills can be used in more places. While corded power drills are reliant on extension cords to increase their effective area of usage. There are many kinds of electric saws. Some of which include the Jigsaw, the Circular Saw, and the Reciprocating Saw. Take into consideration what the things you are going to cut. Most of the time, particularly for DIY aficionados would only ever need to cut wood of varying sizes and density. Make sure that you take that into consideration when choosing an electric saw. These tools can range from air impact wrenches, air drills, and air hammers. These tools are operated using pressure. Almost all air power tools are designed to use between 90 to 100 PSI. with that being said, air compressor tools work by squeezing air into a fraction of its original volume. Making pressure increase proportionally. One of the more known air power tools is the nail gun. A more powerful alternative to the traditional hammer, the nail gun is perfect for installing hardwood floors or repairing furniture. These machines launch nails at high speed, fully embedding them into a piece of wood instantly. when compared with using a hammer, using a nail gun will save you from getting easily tired. These are 4 of the essential power tools that anyone that has an interest in DIY projects and house repair needs. However, there are so many other power tools on the market that are more specific and more useful in many situations. In the Philippines, power tools are basically a requirement for any family. Make sure you have the necessary tools for any kind of repair or installations you might do at home.